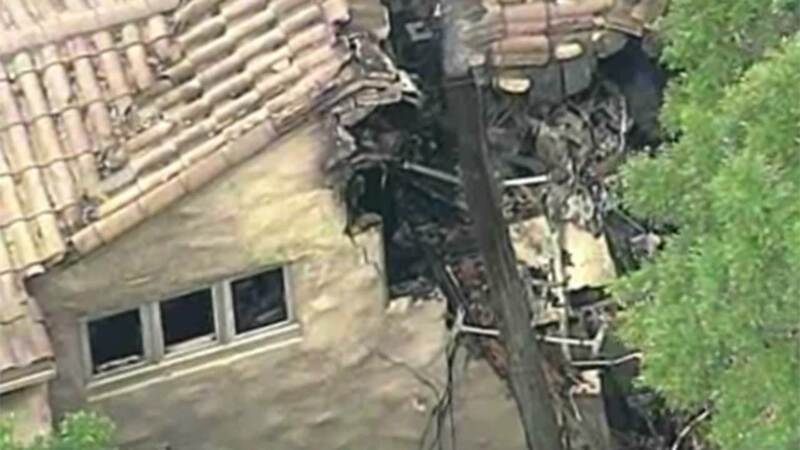 A helicopter crashes into a home in Orlando, Florida. ORLANDO, FL -- A helicopter crashed into a home, killing at least one person in Orlando. Firefighters are still sifting through the debris to see if anyone else was on board. They say the chopper crashed into a guest house and sparked a fire this afternoon. No one was inside the home. Police say the helicopter left from the Orlando Executive Airport about two miles from the crash site.